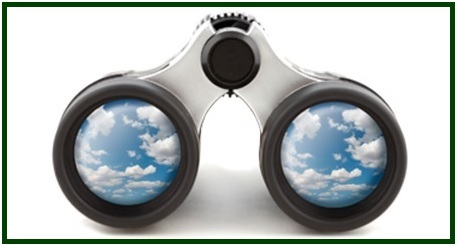 It is not difficult to find these days a combination of good will and lack of discernment. Pious frauds abound in every conventional religion as in the wider “theosophical” movement. The nice, good-willing book “Light of the Sanctuary - The Occult Diary of Geoffrey Hodson”  is a typical example of that. The volume is a true monument to naïveté, and a handbook for the practice of unreasoning devotion towards fiction characters. Being younger and more modest than Besant and Leadbeater, Geoffrey Hodson tried to update and to adapt their frauds to the second half of last century. He seems to have sincerely imagined he was Blavatsky’s successor. He had frequent “personal conversations” with Masters of the Wisdom, whom his own subconscious imagination was kind enough to provide him with. As a logical result of that, nothing beyond common place and pious generalities is easy to find in “Light of the Sanctuary”. But one finds a vast number of personal praises from such “masters” to their “disciple” Hodson. Real masters never stimulate personal vanity in their disciples. Since the early 1950s, the international presidents of the Adyar Society have carefully avoided confessing in public that they do not believe in Hodson’s conversations with “Masters”. None of them ever accepted in any way Hodson’s clairvoyance or his delusional talks to Masters. Mrs. Radha Burnier (1923-2013) was no exception to the rule. She avoided contacts with imaginary Initiates, as her father did. Regarding “theosophical” frauds, a quotation from a Real master of the wisdom, in an authentic letter addressed to Annie Besant and dated 1900, is useful to meditate upon. Annie Besant never paid attention to that warning, and G. Hodson seems to have been naïve enough to follow her example. Illusion is not eternal: the “zeitgeist” and atmosphere of the present century are not favourable any longer to frauds, whether pious and “theosophical” or not. The numbers now grow of people who understand that and get away from blind belief. In Jesuitism, as in Pseudo-Theosophy, a central goal is often subconscious: is the paralyzing of one’s mental principle, under the pretext of meditation or transcendence. The occult reason for this is that free thinking leads students to see the religious frauds as they are. This creates a major problem to false gurus of all kinds. It is also inevitable in the process by which real spiritual intelligence awakens in the present mankind. Reality is always complex. A disciple or aspirant to discipleship must avoid prejudgment, or any judgment that is not based on enough evidence. The Hodsonian attempt to define a teacher as someone who is “impossible to understand” works as a tool to prevent real awakening of spiritual intelligence. Buddhi-manas, the spiritual mind, requires free thought. True devotion does not suspend or deny discernment. The Jesuitic prohibition to think also allows all kinds of charlatans - “theosophical” or not - to pose as Masters or disciples of Masters. However, there is a Brazilian saying according to which “Lies have short legs”: falsehoods cannot endure. The theosophical movement is gradually getting rid of the fake discipleship fabricated by Dr. Annie Besant and later adopted by Geoffrey Hodson. Since 1953, no International President of the Adyar Society has had “verbal contacts” with Masters. This shows their respect for common sense, and for the theosophical public as well. Although the endless contacts between Geoffrey Hodson and the Masters he fabricated have been ignored by N. Sri Ram, I. K. Taimni, Radha Burnier and most theosophical leaders, the various presidents of the Adyar Society postponed the moment when these fancies should be openly examined. In the present century, the task is inevitable to those who have respect for the REAL MAHATMAS. “Theosophical” followers of medieval ritualisms, among them “liberal catholic” priest Geoffrey Hodson, often seem to suggest that “people are not prepared to seek for truth, nor to accept it”. The majority of population, they think, should be given beautiful forms of distraction from hard facts as the inexistence of any monotheistic “god”. The duty of the theosophical movement is not to lead mankind back to the Middle Ages or to ceremonialism. It is, instead, to help humanity get rid of old superstitions, and attain direct wisdom. It is worthwhile to compare the views of Hodson’s fake masters with the teachings of the real Mahatmas. It is easier to have nice conversations with imaginary Masters than to study, and live by, the teachings of the real ones. Geoffrey Hodson clearly preferred the easy way and had imaginary talks with a number of fake teachers. Authentic wisdom, however, points to the steep and narrow path uphill, while inviting students to avoid the easy road of medieval religions and ritualism. Compiled by Sandra Hodson, and published by “The Theosophical Publishers”, Manila, Philippines, 1988. The reappearance of the “Lord” Christ was an unfortunate parody enacted by the leaders of the Adyar Theosophical Society between 1911 and 1929. Mary Lutyens describes it in her various books about Jiddu Krishnamurti. “Letters from the Masters of the Wisdom”, first series, edited by C. Jinarajadasa, TPH, Adyar, 1973, p. 99. “Light of the Sanctuary - The Occult Diary of Geoffrey Hodson”. See p. 59. “The Mahatma Letters”, TUP, Pasadena, Letter 30, p. 231. In the Chronological edition of the Mahatma Letters, see Letter 74, p. 222. Fortunately to real theosophy, most of the “portraits of Masters” used in the Esoteric school of the Adyar Society are fake and were fabricated under instructions from a false clairvoyant who also visited imaginary physical plane civilizations on Mars and Mercury. “The Mahatma Letters”, Letter XVI, p. 111, TUP edition; or Letter 68, p. 199, in the Chronological Edition, the Philippines. Geoffrey Hodson, in the Chapter 1 of his book “The Inner Side of Church Worship”. “The Mahatma Letters”, TUP, Pasadena, Letter X, p. 52. Geoffrey Hodson, in the Chapter 1 of his book “The Inner Side of Church Worship” - in the sequence of our previous quotation. “The Mahatma Letters”, TUP, Pasadena, Letter X, p. 53. “The Mahatma Letters”, TUP, Pasadena, Letter X. pp. 57-58. 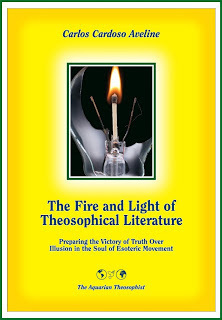 On the difference between truth and falsehood in esoteric movements, see the book “The Fire and Light of Theosophical Literature”, by Carlos Cardoso Aveline. Published in 2013, the volume has 255 pages and can be obtained through Amazon Books.